ZTE stated the newly announced ZTE Orbit includes NFC support at MWC 2012. Many were led to immediately believe this NFC support was part of Windows Phone Tango. That’s not the case, as Microsoft has elaborated. Company representatives at Mobile World Congress even personally confirmed that handset did come with NFC support built-in and would be available based on carriers. Microsoft’s Greg Sullivan elaborated on the statements, and claims, by ZTE. In short, OEMs can enable NFC support in their devices with the native code access they have as manufacturers. Microsoft has remained silent about NFC support in future updates, therefore the ZTE Orbit having NFC support on board is strictly OEM implementation. 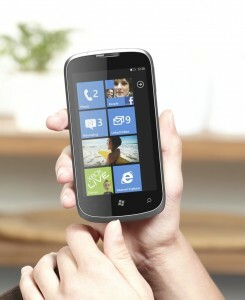 As far as Microsoft being silent about NFC, at the same they have at least promised NFC support with Windows Phone 8. Problem is, many of us are still in the dark about which update exactly would become Windows Phone 8. It could be Apollo, Tango, Mango II, we don’t know anything more specific (yet).